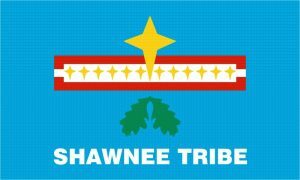 The Shawnee Indians of Oklahoma is one of the three Shawnee tribal groups which are federally recognized, the other two being the Eastern and Absentee Shawnee tribes. 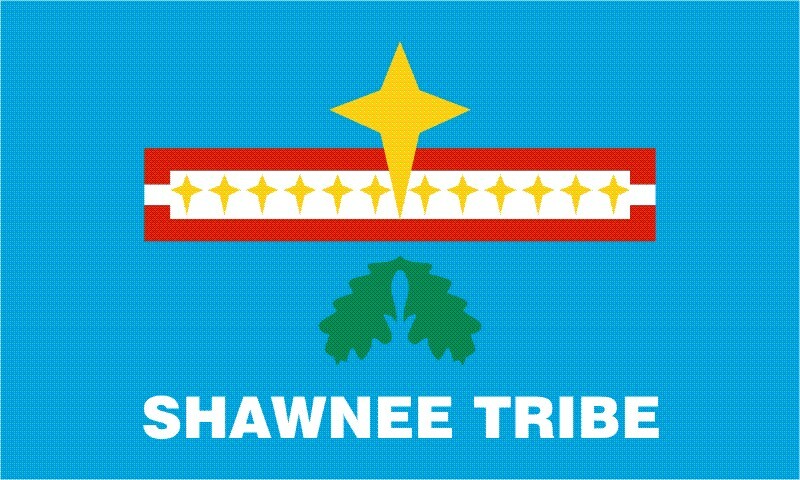 The Loyal Shawnee (a title conferred upon them after their participation in the Civil War) as they are alternately called occupy a major portion of the Miami city of Oklahoma. The members of this tribe conversed in one of the Central Algonquian dialects, Shawnee who had a song-like rhythm along with complex verbs. However, with modernization and English becoming a popular choice of the younger generations, this language is at the risk of endangerment. In recent times Shawnee has been restricted to the elderly crowd with barely 200 people conversing in this dialect. Some interesting words from this language are neahw (thank you) and bezon (friendly greeting). The Shawnee Indians belonged to the Eastern Woodland tribal group and were initially inhabitants of Ohio and Pennsylvania territory, being the last of the group to migrate from their traditional lands. 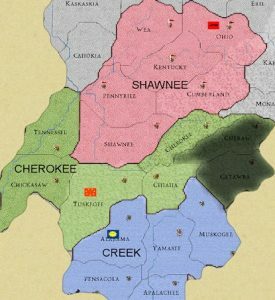 The encroachment of the European-American people into Shawnee’s areas was a primary reason for one of their bands (Absentee Shawnee) moving to Missouri. According to the Treaty of Fort Meigs in 1817, three reservations had been granted in Ohio to these people. They had also occupied a significant part of the lands in Kansas where one of the bands had relocated in 1831. However, after the Civil War, where they actively participated, much of their lands had been occupied by the non-Indian homesteaders. 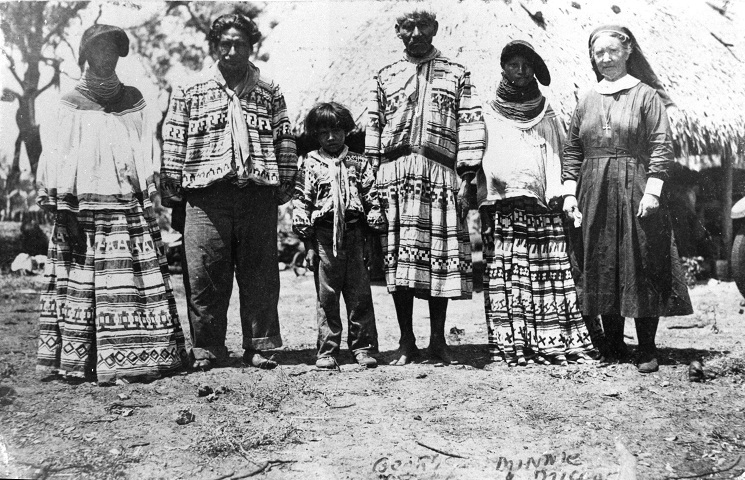 After a lot of struggle to get a dwelling of their own, they entered into a mutual pact in 1869 with the Cherokee Nation for gaining citizenship as well as receiving an allotment of their land. They eventually came to be called the Cherokee Shawnee occupying the Bird Creek, White Oak, and Hudson Creek regions. After a lot of trials and tribulations, during the 1980s, they attempted setting up a tribal status of their own devoid of the Cherokee Nation’s influence. 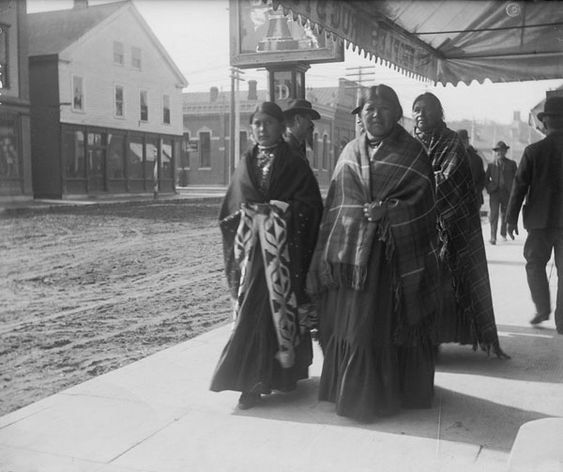 After the Shawnee Tribe Status Act of 2000 was passed, they were able to raise themselves to the status of autonomous federally recognized tribes. James R. Squirrel who was initially their chairman was instrumental in helping these tribes gain federal recognition in the year 2009. Some of the prominent chiefs of the Shawnee tribe are Big Jim (became the Kispicotha band’s chief in 1872), Black Bob, Bluejacket (principal leader in 1794), Catahecassa, Paxinos (chief of the Shawnee in the 17th and 18th centuries) and Tecumseh (a celebrated Shawnee chief). Cornbread, soup, and stews were some of the common foods eaten by these people, however, the diet differed from one area to the other. For instance, those living in the Great Plains primarily thrived on buffalo, but also hunted wild turkey, deer, and bear. Wild roots, fruits, and vegetables were even a part of their diet. 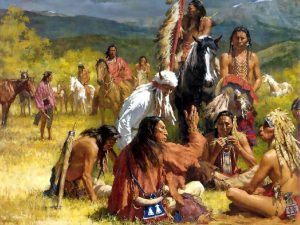 The Shawnee Woodland people mostly ate fish as well as small games like beer, raccoon, squirrel, deer, beaver, and bear. Veggies like beans, pumpkin, squash, and corn were available too. The Southeast Shawnees’ food comprised of wild hogs, deer, raccoon, rabbits, turkey, opossums, and eagle. They even ate dried fruits, nuts, pumpkins corn and beans. These people were a farming group and the men and women were divided when it came to performing tasks. While the female folk engaged in harvesting and planting corn and also squash, their male counterparts took to hunting (turkey, deer and a host of small games) as well as fishing along the lakes and rivers. The hunters and warriors were equipped with several weapons like bows and arrows, different kinds of clubs, spears, axes, knives and lances. Post the influence of the whites upon these people, rifle was also included as a part of their weapons. Amongst the several tools, nets and spears were the prominent ones used by the fishing folk. 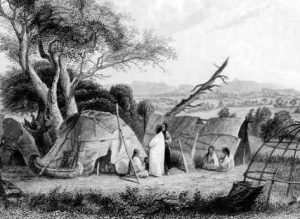 In the olden times, the Shawnee Indians were nomadic people and did not inhabit in permanent shelters. They dwelt in small, roundhouses in the shape of a cone, called wigwams or wikkums. The arched roofs of the wigwam had a small hole for the smoke to escape. These habitations were made of birch bark sheets, held together by strips of woods and ropes. 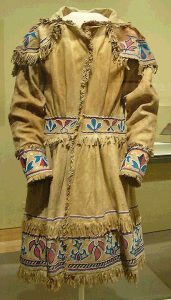 Having height and width of 8 to 10 feet and 10 to 15 feet respectively, some wigwams also had coverings of buffalo hides especially if it was available in the place of their dwelling. Presently, they live in concrete homes and resort to building wigwams just for fun or to keep their cultural heritage alive. Men and women wore breechcloth and long wrap skirts respectively along with leggings. 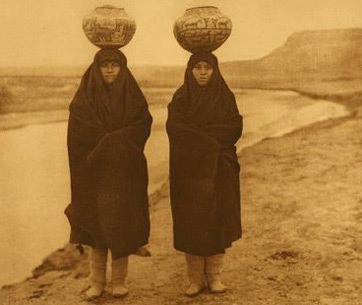 They dressed in ponchos, cloaks or robes in the colder months an also to seek protection from rain. Both the sexes chose moccasins for their footwear, while the women had bells attached to it that tinkled when they walked. As they moved from one place to the other, they gathered inspiration from the clothing of the several Indian tribes. They were immensely influenced by the fashion sense of the Europeans and the men often took to cotton shirts and trousers like the whites. The Shawnees were not too passionate about headdresses and mostly wore beaded headbands adorned with one or two feathers of hunting birds like hawk, eagle or an owl, particularly during a special occasion like a tribal dance. They were even inspired by the West and resorted to wearing turbans which were sometimes encircled by a metal band and decorated with feathers. Women had long hair parted at the center and arranged neatly into a bun which was kept in place with silver combs. 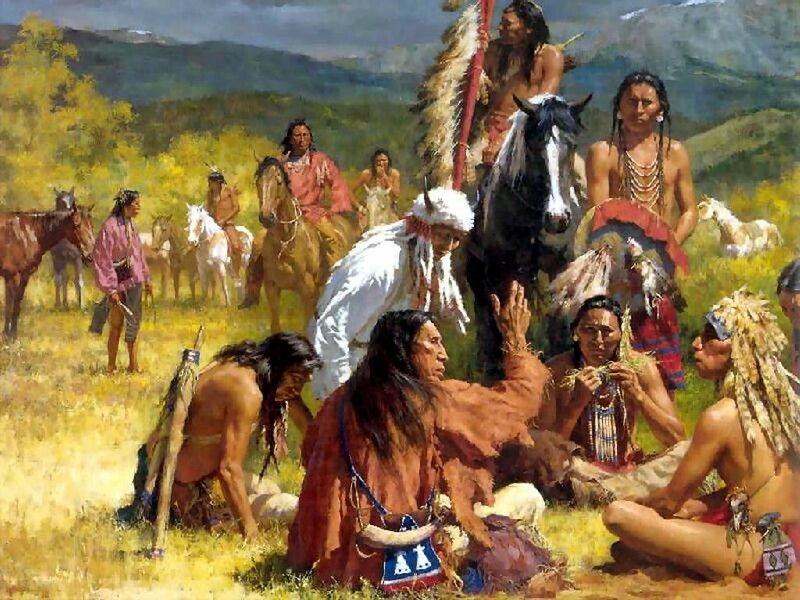 The Shawnee men also maintained tresses excepting the warring group who had their heads shaved in the Mohawk fashion. During ceremonies or important events, the men and women painted their faces with varied designs and also sported tribal tattoos. Like most other tribal groups they too wore nose rings, neck pieces, and bracelets made from a whole lot of things like stones, bones, wood, shells, and even silver, which was an important commodity of trade. In fact, Shawnee men were known to wear silver earrings and nose rings. Their primary mode of transportation was dugout canoes which they made by hollowing big trees. While commuting on land, dogs served as pack animals for them. In the modern times, majority of the people travel by car. Pottery, wood carving, and beadwork were their prominent works of art and craft. They (the women folk) made baskets that were woven so tightly that it had the capacity of holding water. They even made wampum (shell beads) belts that had a length and width of 5 feet and 4 feet respectively. The belts even had unique symbols and designs which often had a story to tell or even represented the family of a person. 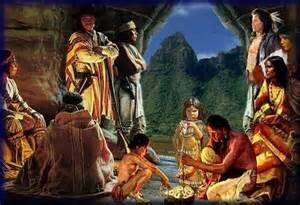 They often traded with their neighboring tribes like the Cherokee, Creek Indians and Chickasaw. Among the commodities they exported included pottery, corn as well as a host of food items, while minerals and feathers were their objects of import. In the ancient times horses were also traded by them. 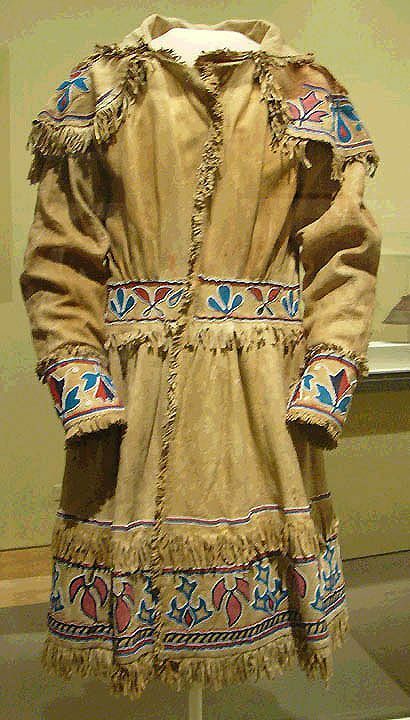 After coming in contact with the French traders during the 1670s hides and furs were exchanged by the Shawnees to the latter. They imported goods like glass beads, pots, steel weapons, ribbons, blankets as well as silver jewelries like necklaces, bracelets, beads and pins. The Shawnee council would assemble to decide if war was needed or not and in case there was a positive indication of battle tomahawks smeared in red clay would be sent as a war invitation to the neighboring villages to join them in war against their opponent. The Shawnees had a high regard for a “Great Spirit” and found spiritual qualities in all objects of nature. They had a perception that a goddess named “Our Grandmother” was their creator and would lead them to heaven one fine day in a large net. Each group possessed a bundle having sacred objects, the contents of which were only known to important men and women within the tribal group. The Shawnees lived in large families comprising of fathers, mothers, uncles, aunts, children, grandparents, in-laws and cousins. Their society had five distinct divisions with each of them having a function of their own. For instance, the Pekowi looked after religious matters, the Kishpoko took care of war duties, the Mekoche were in charge of healing and health practices, whereas the Chalaakaatha and Thawikila handled political affairs. The marriage was arranged by family members involving a gift exchange custom, though at present this ritual does not exist. The bride then goes on to stay with the members of the groom’s family. The woman would deliver her child in a small hut and remain there with the newborn for a span of ten days till the naming ceremony took place. The baby’s parents and other elders of the family gave names that would usher in good luck to the little one. The Shawnees had a unique way of handling their kids as they were not physically punished for any wrong deed. Instead, they would shame them for any unacceptable behavior and praise or encourage their kids on doing good things. Though the rite of passage or vision quest is mostly conducted at puberty, this tribe is known to put their kids through this ritual at an earlier age. One example of such vision quest being that a boy woke up at dawn, ran through the snowy woods sans clothes, went to the end of a chilling pond and finally came back to his camp. On the final day he would have to get hold of the first thing he touched at the pond which went on to be his power object. He would wear it on his neck with the help of a string and this object gave him strength courage and wisdom. After the death of a member of the tribe, he would be dressed in clean clothes by an attendant, who would, in turn, be given parts of the deceased’s possession for his service. The body would also be painted and the grieving would go on for about twelve days during which no normal activities would be conducted. Post this there would be a feast and then normalcy can be resumed. Spouses losing their partner were refrained from decking with jewelry or painting themselves for a year. The Shawnees are fun-loving people engaging themselves in music, dance and all forms of merry making. Gourd rattles and drums were played during a dance performance, though they preferred to sing rather than create music by using the instruments. Men often had dewclaws and deer hooves attached to the sleeves and shoulder fringes of their shirt as well as to their garters so that a rhythmic noise was made as they moved along. Metal cylinders and sleigh bells were also attached to their costumes at a later point of time to produce a musical sound as they danced. The transition from one season to the other was also commemorated through special ceremonies. The significant among those was the Bread Dance that took place in spring and autumn. In the one held in spring honor was bestowed upon women for the farming and gathering activities they engaged in throughout the year. People also pray for a fulfilling and abundant harvest. On the other hand, the Bread Dance in autumn celebrates the hunting skills of a man. 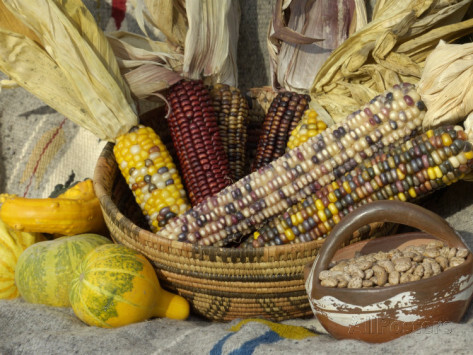 The Green Corn Dance is celebrated in the month of August to mark the yearly harvest of corn. This festival goes on for seven days and people accused with minor offences are granted forgiveness during this time. They have made advancement in all spheres of life. The tribe has 2226 members enrolled at present of which 1070 residing in Oklahoma. The present chairman is Ron Sparkman who will serve a term of four years. They have prospered economically also as this tribal community issues a vehicle tag of their own besides owning a tribal smoke shop as well as a Shawnee Trails Gift Shop and Gallery. Their newspaper named Shawnee Journal is published and distributed among the members free of cost.